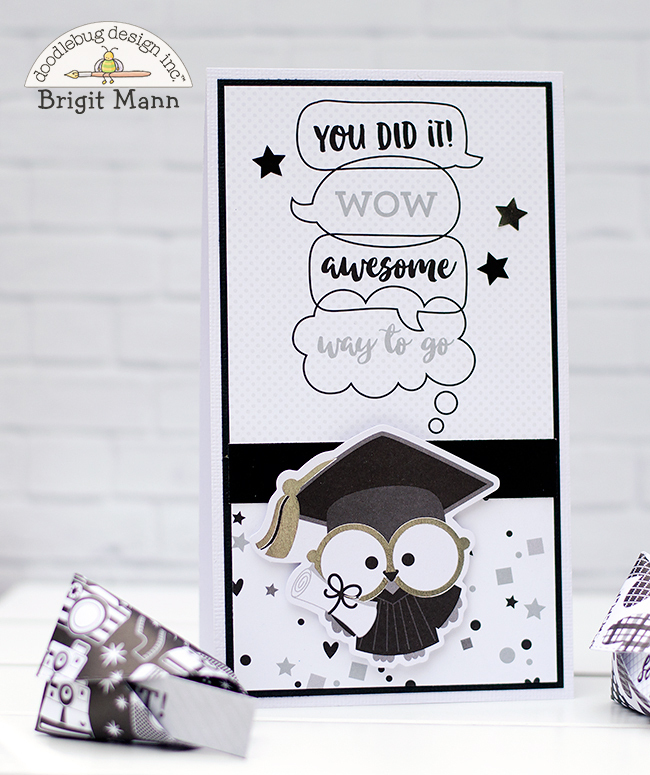 Hello Doodlebug Fans, it's Brigit here today to share a graduation gift set using the Hats Off Collection. I absolutely love all the silver foil pieces in this collection. 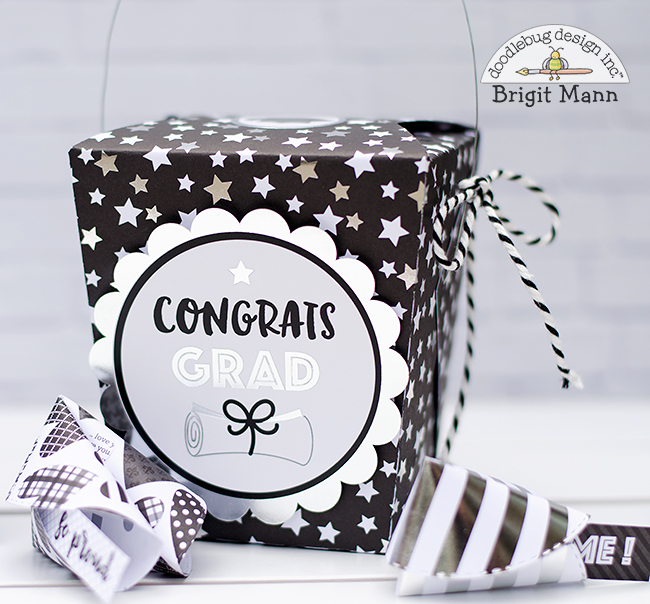 The papers are adorable and very classy, can be used for so many other occasions besides graduation. I hope you've enjoyed this projects, thanks for stopping by and have a wonderful day! Love these!! !such a fun set!! !